Direct Message for Instagram is a messaging software developed by ThinkTime Creations, the developers of Grids for Instagram. With this software, ThinkTime Creations has provided Instagram users with another software that can make their Instagram experience easier. 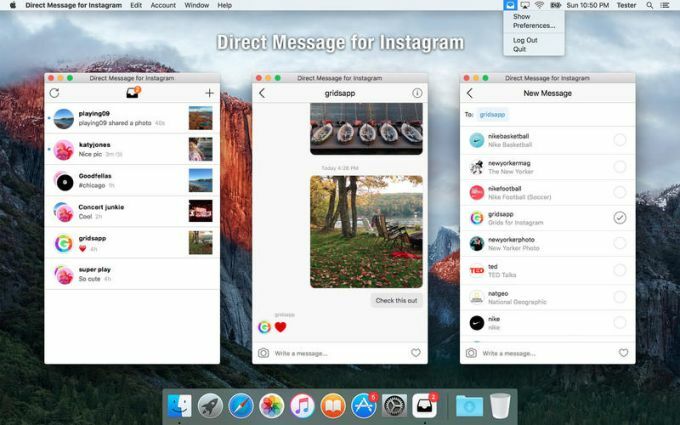 Direct Message for Instagram allows users to send and receive direct messages from Instagram in their Mac desktop. The software does require a pre-existing Instagram account, however, so users will have to create an Instagram account on their phones before they will be able to use this software. One major issue with this software is the fact that it can’t support multiple accounts. Aside from that, this software is pretty good at what it was meant to do.